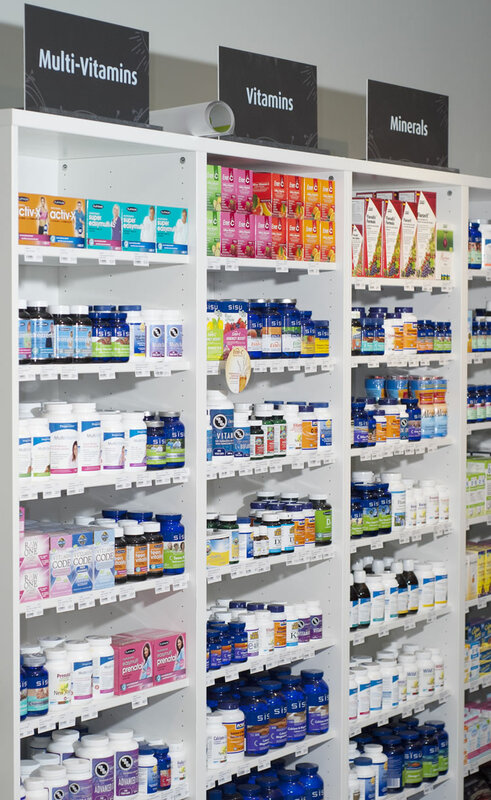 A full service grocer and supplements store offering the best in whole, local and organic foods, as well as alternative foods for specialty diets. It’s February. The first cold and snow came sweeping into our parts at the end of November, and the big old Canadian winter hasn’t let up much since then. On the bright side, the days are getting longer, we’ve actually had two (count them) almost entirely sunny days in a row (as I write in January), and we are hopefully past the half-way mark. Winter feels a bit like an extreme sport this year. It’s been a long haul and a test to the psyche! Survival depends upon noticing each positive detail that comes our way and milking what endorphins we can out of those moments, so our spirits don’t get buried under the weight of a snowbank or sucked into the Polar Vortex (sorry I just had to get that in J). It’s good to remind oneself that this gray and white landscape will indeed once again transform come spring. But if, in the meantime, you find yourself in need of a little ray of sunshine to brighten things up and inspire, perhaps you’ll want to check out this cheery, hopeful, and nourishing new contribution to the Almonte landscape. Like the first crocus is to the winter-weary mind, so Dandelion Foods is to the box-store food shopping experience. Both are a big breath of fresh air. 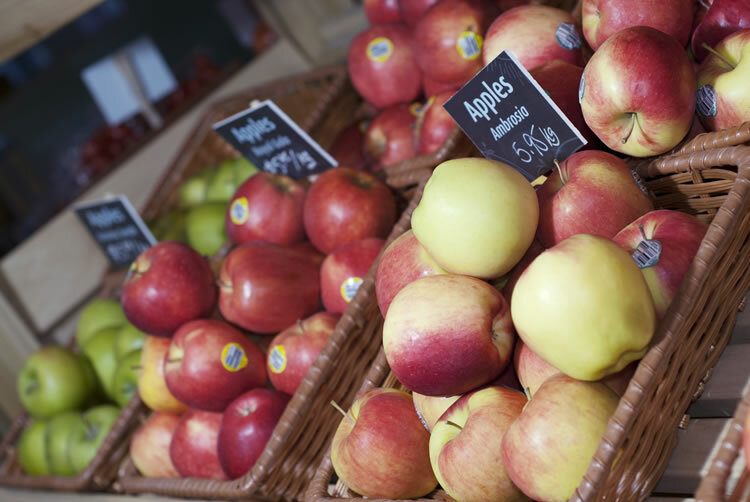 Dandelion Foods offers us a different approach to our food procurement experience, as you might intuit from its tagline “Eat Well, Live Well, Choose Local”. It’s about more than just buying food. Dandelion is a worker-owned co-op that, at a very basic level, means the business is owned and democratically managed by its four employee/members. It also means that the owners know everything about their co-op (they’ve been involved since it was just a seed of an idea, after all), have a deep belief in its values and vision, and have an interest in seeing it thrive — both personally but especially for the community. I don’t have the space here to get into all the great things about co-ops — just know that they are indeed a good thing! 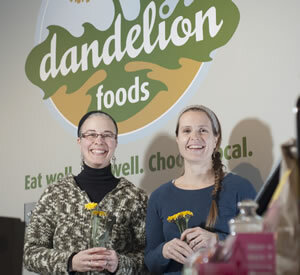 If you are interested in learning more, you can check their website <dandelionfoods.ca> and look under About Us for “Worker Owned Co-op.” One of the keys the owners see to the success of Dandelion is public engagement and the importance of dialogue with each other, their customers and the community. It is something one notices immediately when visiting. They really want to hear your thoughts and suggestions — including new products to stock. Many of the suggestions coming in are already being sourced! Scroll through their Facebook page and it becomes immediately apparent how excited about the new store and committed to their values they are. 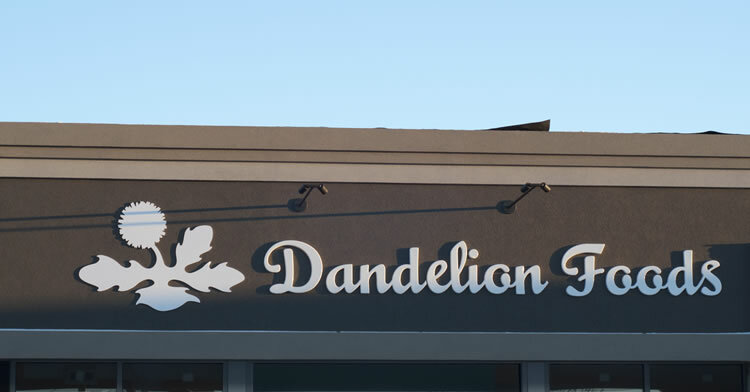 The owners of Dandelion are the principal workers. You will meet them all — Sharon Lazette, Meg Pettipas, Michael McGarry and Farhat Sultana — over time, when you visit the store, because they spend lots of time on the floor (not in an office building far away). 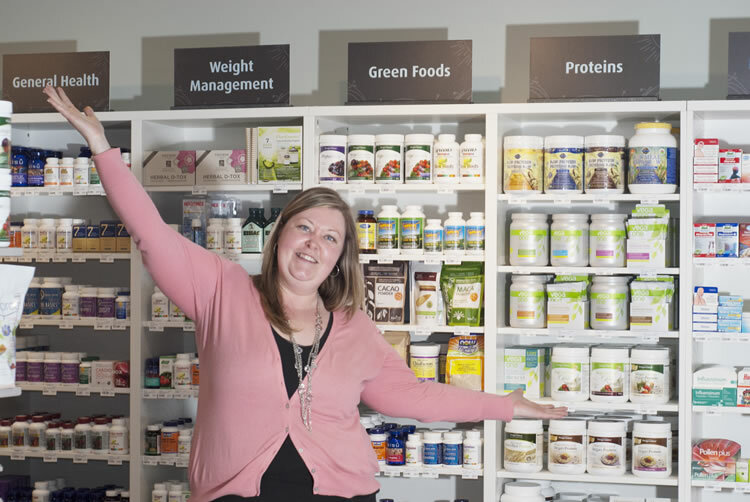 They have recently also hired a nutritionist specialist, Christa Lowry, to join them as the store’s supplements manager. 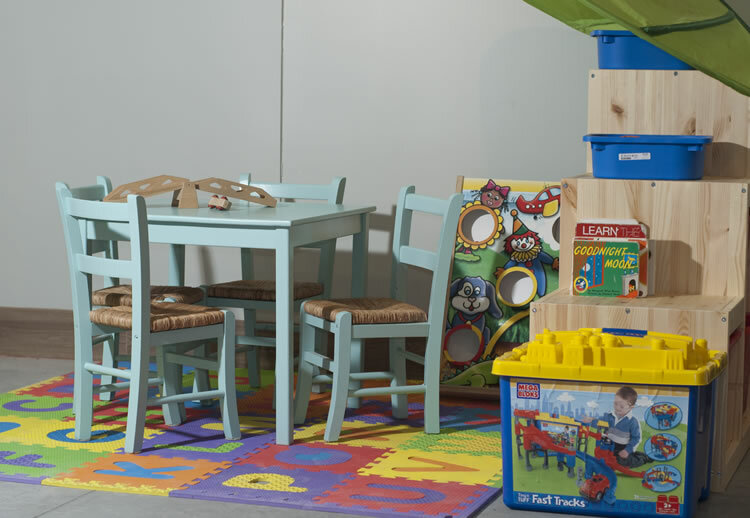 The four owners met during the community-initiated process that led to the store’s evolution. By chance they have many complementary skills, not to mention a wide range of work and life experiences (check out their bios on the website). They share many of the responsibilities of the business, while other roles are assumed individually, depending on expertise or skill sets. Workshops are also set to begin at the shop on February 20, with Water Kefir and Herbal Infusions 101 led by Dasha and Sebastien from Agapé Gardens. Call Dandelion or visit the website for more information. Workshops cost $10, but that price gets you a $5 coupon to spend in the store, and the other $5 will be donated to a local cause. Like everything about the store, the name was thoughtfully considered. An earlier co-op member suggested the name based on a description of dandelions found in a book by herbalist guru Susan Weed. In Weed’s words (no pun intended), it is “a full-bodied plant assisting us on multiple levels, she is nature’s medicine, bringing us back to our roots. Tenacious and prosperous, brightening our lives and feeding and healing our bodies”. The multiple ways the dandelion contributes to the ecology around it is a lovely metaphor for the roles the owners hope the store will have in the community. 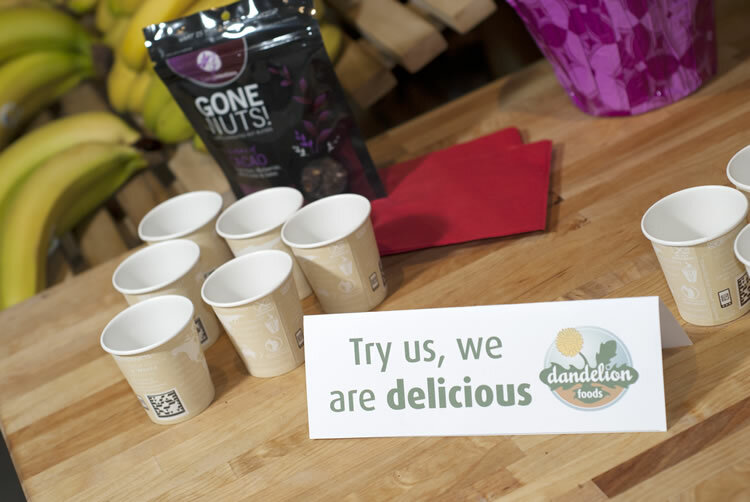 Many people contributed to the months of thoughtful brainstorming, discussion, planning, fundraising, financing, building, and other efforts that have taken place over the past two years and culminated in the opening of Dandelion Foods on January 11. Of particular note was the generous counsel of Craig and Amber Hall (Equator Coffee) and the numerous incredible volunteers and investors who’ve had faith in and supported the project along the way. Valley Heartland, Your Credit Union, the Cooperators, and many investors from the community contributed essential financing (in an amazingly short period of time, I will add). 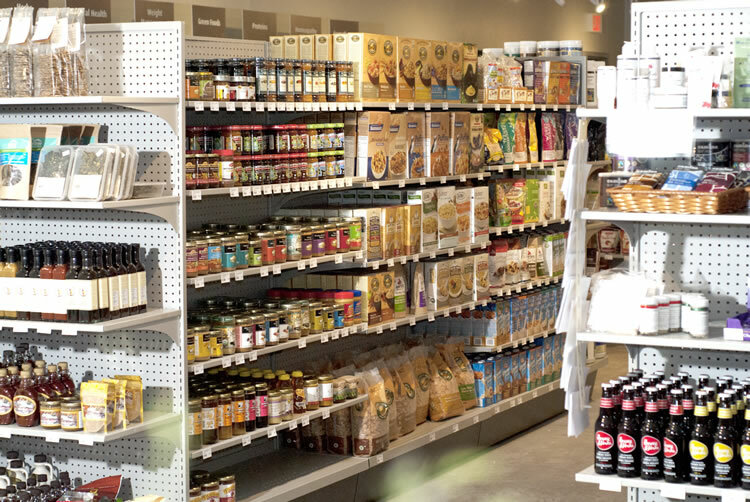 At the heart of this communal venture is a desire to build a community-centred, cooperative grocery store that helps to illuminate connections between the food system, food choices, the health of individuals, and the community. 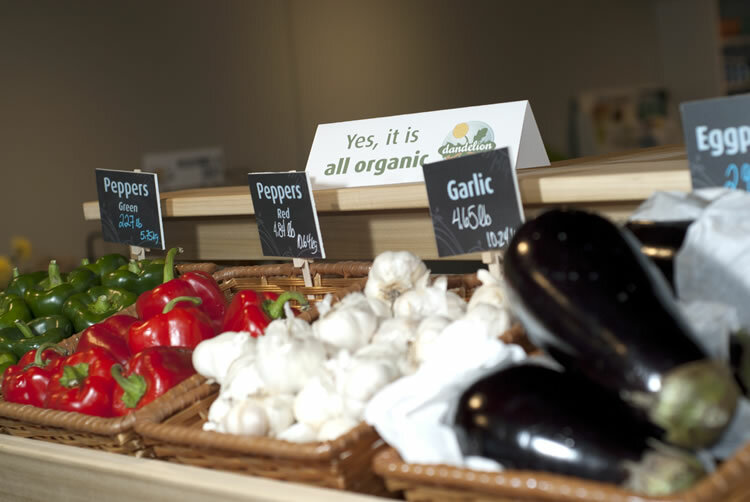 Not only are they dedicated to offering the best organic produce they can find (yes, all fresh produce is organic, and local when possible), they are also sourcing many of their grocery products and specialty items locally as well. Check under Community on their website to see the growing list of local producers and products they source. And do stop by, in person and online, for a taste of what’s just getting growing! This month Dandelion Foods shared their recipe for Dandelion Greens; head on over to our Local Recipes page for this and other delightful local recipes.